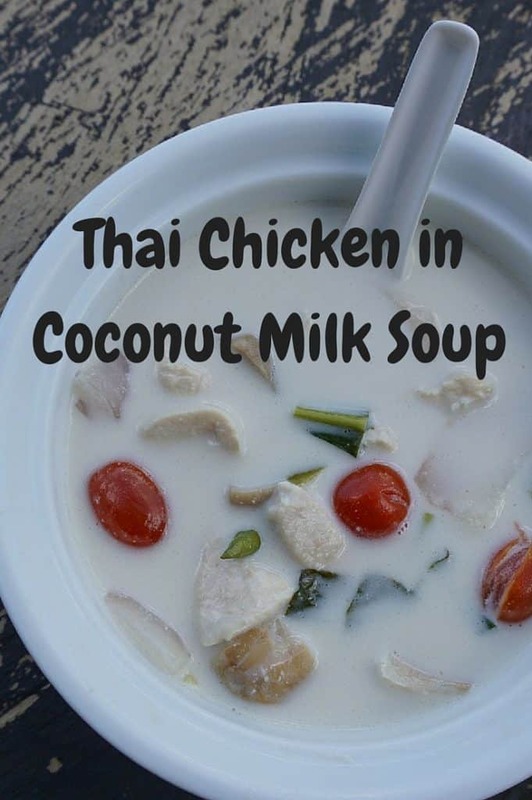 Tom Kha Gai (or Chicken in Coconut Milk Soup) is a recipe where all of the favorite flavors of Thailand come together. 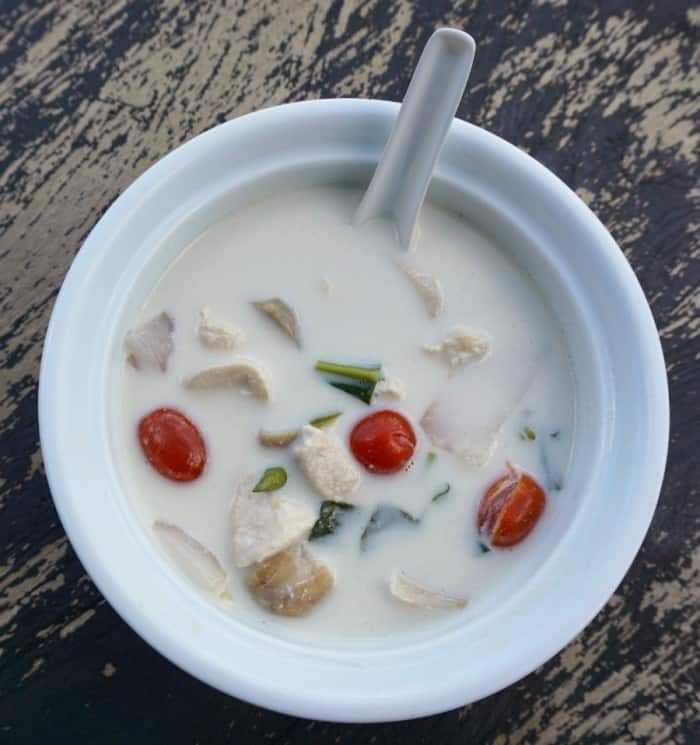 Fresh ginger, lemongrass, chili peppers and lime leaves combined with creamy coconut milk is one delicious bowl of Thai soup. Despite the complexity of flavors in this dish, its actually quite easy to make. If you enjoy Thai food, you can find more recipes from this favorite foodie destination in our Food Finds/Recipes section. Add coconut milk and water to a pan or wok over medium heat. Once the liquid begins to boil, add the chicken, lemongrass, galangal, lime leaves, chilies, shallot and mushrooms. Stir occasionally until the chicken is cooked through. Add the fish sauce, lime juice and tomato. Allow the soup to simmer for another minute, and then add the cilantro and serve. 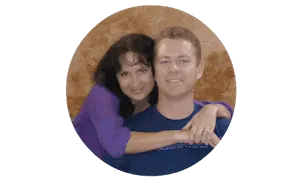 Note: Some links in this post are affiliate links. Which means that if you follow them, or make a purchase, we receive a small percentage (at no cost to you). If you do decide to follow a link – thank you in advance! We appreciate your support. This looks so good and easy to make! I can’t wait to try it.